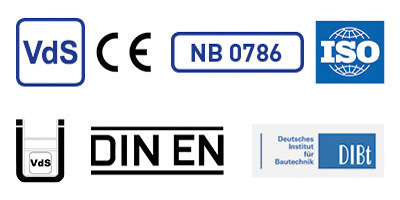 Numerous accreditations not only document the outstanding competence and expertise of VdS, they also reflect its independence and objective assessments. A VdS certificate therefore gives commercial and private consumers an important orientation aid in distinguishing between high-quality and mediocre products and services. Manufacturers and service providers benefit from the consumers’ growing need for safety, as a result of which buying decisions are becoming increasingly dependent on safety aspects. The VdS certification mark creates orientation and confidence and documents the high quality and reliability of products and services. It allows manufacturers and service providers to enhance their market position, which consequently results in a competitive advantage. Over 100 years of experience in the fields of fire safety and security. VdS experts are always one step ahead due to their participation in working groups and committees. 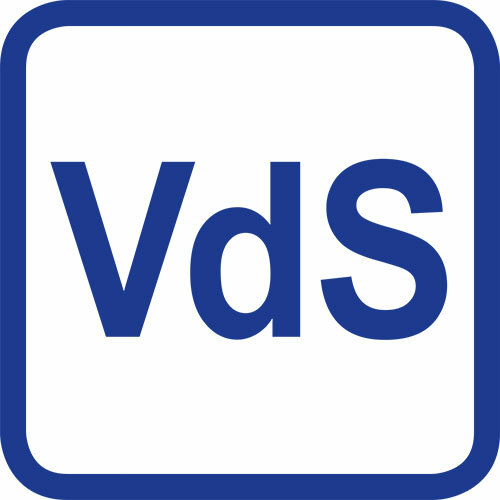 VdS closely co-operates with all important certification institutes in Europe. Comprehensive support even in the preliminary stages of your project. VdS certifications use in-house developed guidelines which are in step with current practice and subject to permanent updates. VdS approved products and services guarantee high quality and reliability. With VdS services, you not only save time and money – we also accelerate your time to market.